The previous post got me curious about Target so I checked into their online store today and found out that Orla Kiely now designs for Target! You can now get her gorgeous designs on housewares at the most affordable prices. You cannot believe how tempted I am to get these mugs for $11.99 for a set of 2 from Target right now. And the serving tray above is going for $14.99 (in stores only). Gasp! 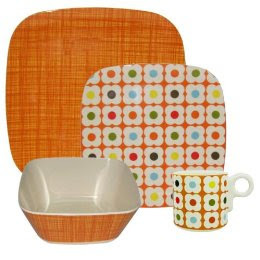 And the Orla Kiely Orange Flower Collection above is selling for $11.99! Give me one good reason right now why I shouldn't get these, apart from the fact that I have no more space at home. I love those mugs! .x. These are actually really nice pieces. 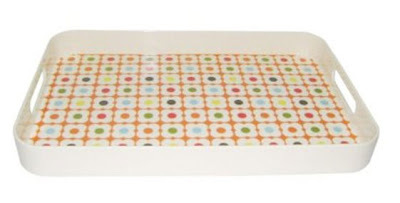 Its really great that Orla Kiely designs now available at Target.